Fall cannot come soon enough. Summer isn't everyone's favorite season, and it certainly isn't mine. 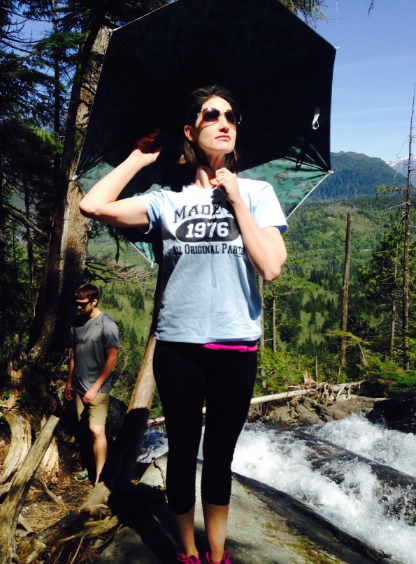 You sweat, get sunburns, and are just generally upset that it's hot outside. Conversations with strangers always start with that hackneyed, "Hot enough for you?!" line. I don't need more of any of that in my life. Until living underground becomes a more viable option, we'll have to use these products to make life work. 1. 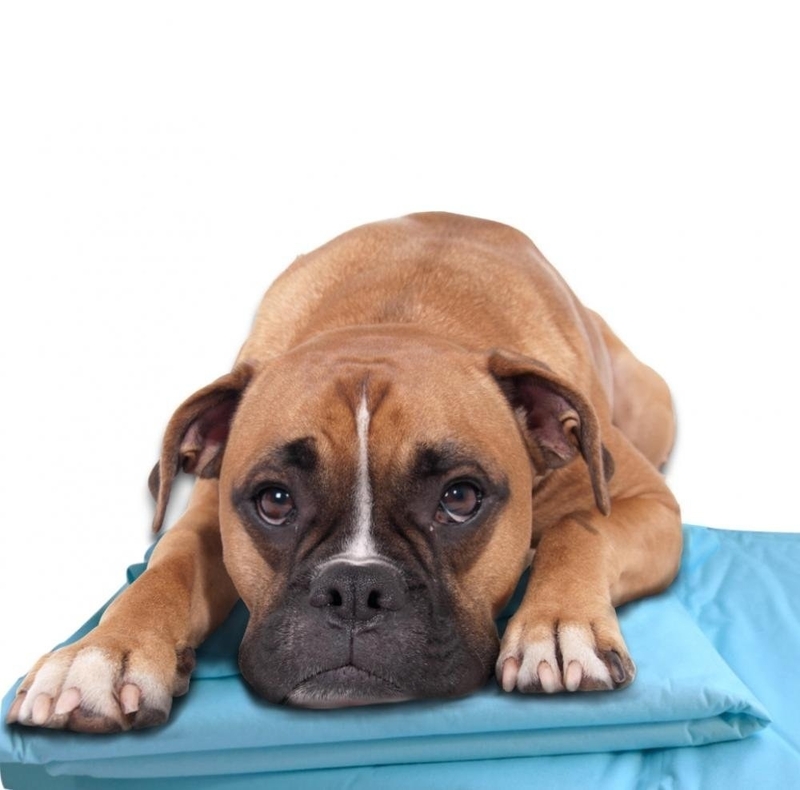 This personal mister ($25 to $28) so you and your dog can beat the heat. It has three spray patterns: shower, stream, and mist. 2. This directional fan ($57) so you can feel like an elephant is blowing air at you. It even runs off of USB! They also have a version available in green here. 3. This cold-brew maker ($24) so you can get more caffeine while not sweating. Because hot coffee when it's hot out doesn't seem right. 4. This steering wheel cover ($18) so you don't have to use discarded receipts as oven mitts. 5. This bed fan ($99) so you never have sleep sweats again. 6. 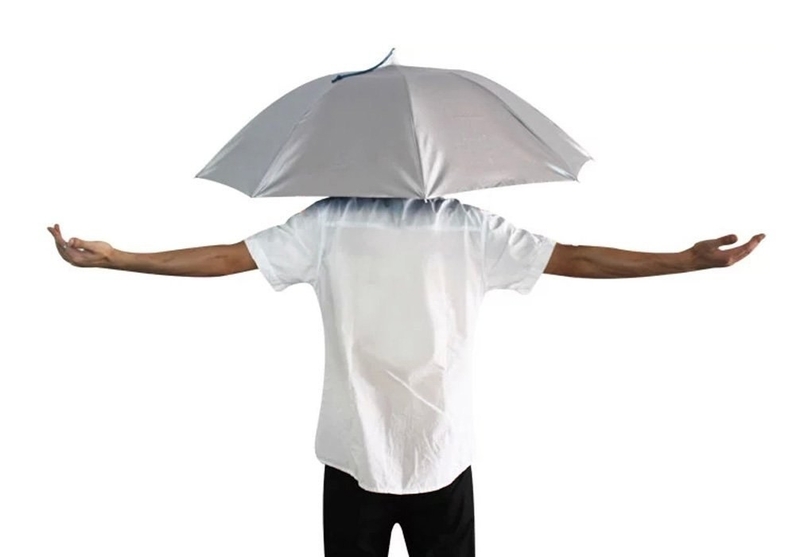 This umbrella hat ($16) so you can throw your own damn shade. 7. This evaporative cooling towel ($8) so you can drape any appendage in chillness. You know what's just not cool? Everything that's not this towel. That means the towel is cool. 8. This flexible ice-pack hat ($40) so you can keep a cool head. 9. This box of otter pops ($12) so you can be cool from the inside, out. Blue is the best flavor. Fight me. 10. 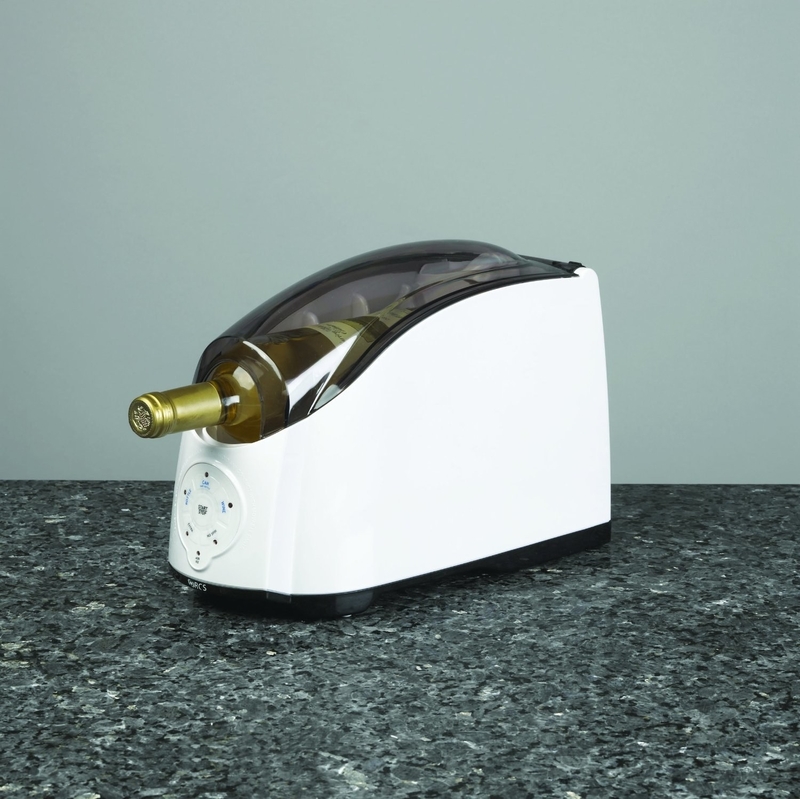 This rapid beverage cooler ($58) so there's never an excuse to drink something warm. Chills a can in a minute! 11. This mini USB-powered swamp cooler ($14) so you can make temperatures tolerable near your computer. 12. 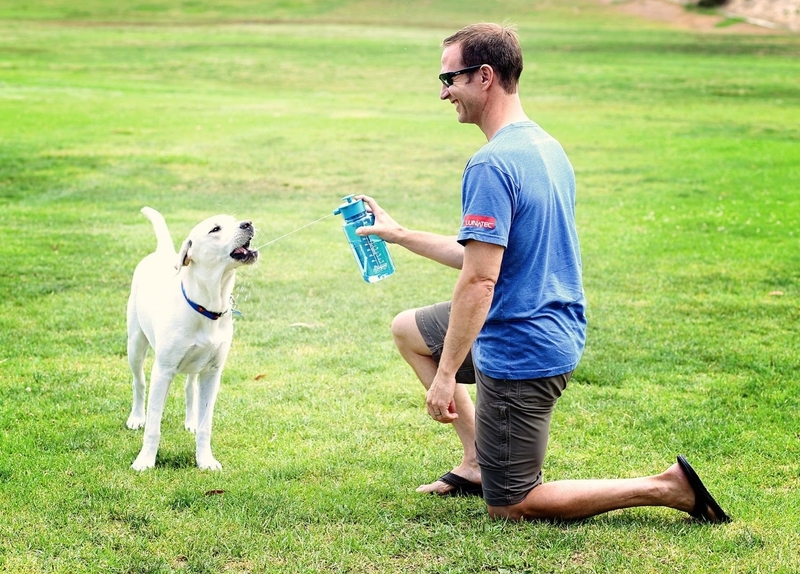 This cooling foot spray ($10) so you can alleviate your sweaty, barking dogs. 13. These Ice Deodorant Body Sheets ($10) so you can feel that sweet menthol-y effect all over. 14. This stretchy knit dress shirt ($95) uses NASA temperature-regulating technology to keep you cool. Apparently NASA hates being too hot so much that they created a fabric to help regulate it. 15. These blackout curtains ($30 to $65) so you can shut out that pesky sunlight. These will make you day! Or unmake it. 16. This powered cooling cushion ($65) so you don't burn your legs on the seat. No one will ever be able to put you in the hot seat again. 17. 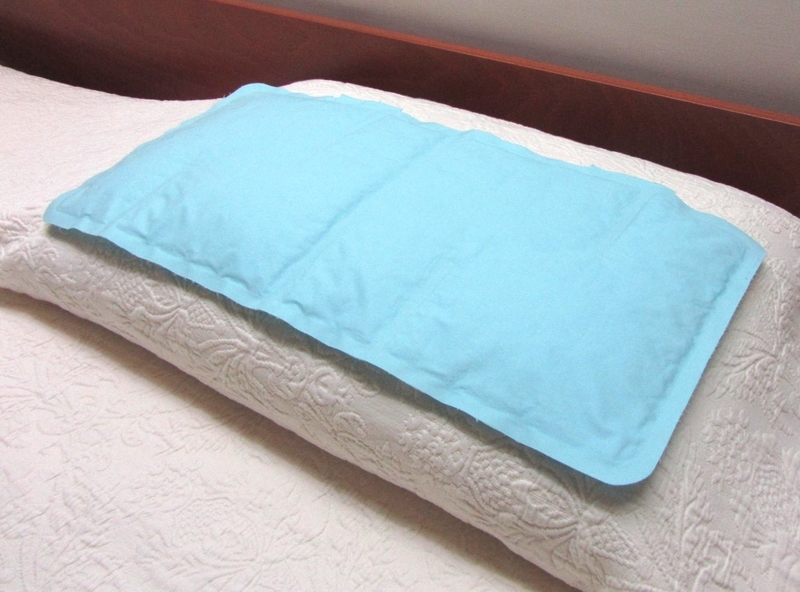 This cooling gel pillow mat ($25) so you don't have to keep flipping the pillow.